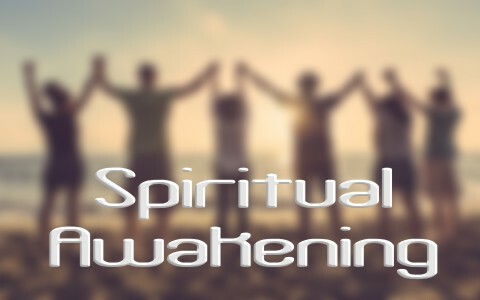 Have you ever heard about a “spiritual awakening?” What is it? Some call the Age of Enlightenment (late 17th-18th centuries) as being similar to a spiritual awakening, but the Age of Enlightenment was actually opposed to anything spiritual. The “Enlightenment” was a rebirth of humanity in one sense, but it was also their coming to an understanding about the natural world and our place in it, and our place in the universe should be based upon the science, reason, and logic, and not based upon religion. Thomas Paine called it the Age of Reason. The goal of this wide-ranging intellectual movement was clearly to do away with any ideas about the supernatural, miracles, or superstition (which they attributed to the Bible). Instead, mankind should focus on knowable things that can be observed and tested. The final goal was thought to be the advancement of humanity as a species, however, what actually happened, served to do just the opposite. For one thing, the greatest and most brilliant scientists were the Christian’s. The list of names sounds like a Science Hall of Fame with Sir Isaac Newton, Sir Francis Bacon, Johannes Kepler, Galileo Galilei, Robert Boyle, Michael Faraday, Rene Descartes, Blaise Pascal, and dozens of others. The Enlightenment pushed back against anything spiritual or religious…at least for a time. Some historians believe the Enlightenment led directly to the War of Independence, the French Revolution, and may have created the impetus for the Industrial Revolution. No one can be revived until they are born again. You cannot revive what is dead. Before we were saved, we were nothing but dead men and women walking (Eph 2:1-2). We followed the course of the world…and were headed down the broad path of destruction, but for some reason, God granted those of us who have trusted in Christ the desire to repent. The Apostle Paul reminded Timothy that those who were opposed to him and the gospel, may still have hope, because Paul writes, “God may perhaps grant them repentance leading to a knowledge of the truth” (2nd Tim 2:25). The Apostle Peter, speaking before the council, said of Christ that “God exalted him at his right hand as Leader and Savior, to give repentance to Israel and forgiveness of sins” (Acts 5:31), so those Jews who were now saved, were saved only because God gave them repentance. This is something that none of us could ever do for ourselves (Eph 2:1-2; 8-9), so no spiritual awakening can ever happen without the Spirit of God birthing us as a new creation in Christ (John 3:3-8; 1st Cor 15:17). If there’s no oil in the lamp, the wick will only burn, but if there’s oil in the lamp, it lights up the whole room. So is it with the Holy Spirit. He is our Teacher and Helper and will bring to remembrance those things we need to speak. It takes the Spirit of God with the Word of God to make the children of God for the glory of God. In other words, it’s all about God! The Apostle John writes, “to all who did receive him, who believed in his name, he gave the right to become children of God, who were born, not of blood nor of the will of the flesh nor of the will of man, but of God” (John 1:12-13). His own people did not receive Him (John 1:11), but believers have, however those who trusted in Him must remember that it wasn’t by “the will of man, but of God.” As I wrote earlier, without God’s Spirit, there can be no awakening. This would be like trying to have Lazarus take part in his own resurrection. Do we think Jesus would say, “Okay Lazarus, if you move your little toe, and I’ll do the rest.” Of course not! Lazarus was four days dead! This took the Son of God to bring this decaying corpse back to life. And of course, He did. Jesus, as God, has so much effectual power in His Word that if He didn’t say, “Lazarus, come out” (John 11:43), all who were in their graves would have risen from the dead, however Jesus was specific in only calling Lazarus’ name. What this means is that it is fully a work of God to make a dead man or woman alive. God quickens us by His Spirit so we can finally understand why we need Jesus Christ as our Savior. Only then can there be a spiritual awakening. In fact, that IS a spiritual awakening. Sometimes a church experiences a revival which is a spiritual awakening of sorts, and when this happens within the local body of Christ, it could be the start of something that spreads to the community, then to the city, or a state, or a nation (as it has done elsewhere). What is a spiritual awakening? For there to be an awakening, there must have been a time of slumber or sleep. You wouldn’t need an awakening if they were already awake, so perhaps it was a time of spiritual laziness or sloth in the church. The church at Laodicea was like that (Rev 3:14-22). That church really needed revival or an awakening, but what about today? What does a spiritual awakening look like? Can we start one? I think we know that this must be a work of God, but there are things we can do, and that is to humble ourselves. That’s the beginning of having an awakening. It’s having the realization of Who God is and who we are, and seeing ourselves as falling so far short of His glory (Rom 3:10-12, 23) that we could never be reconciled back to God without God Himself intervening on our behalf (John 3:16; Rom 5:1, 8:1), so step one is to humble ourselves before our God, and to ask Him to revive us and renew us into the image of His Son, Jesus Christ. Ask for a renewed hunger and thirst for God. Sometimes, a spiritual awakening might be brought on by an emergency, either a personal one or a nation-wide one, and this could bring a renewed hunger for God and a more passionate desire to live a holy life before Him. We might find ourselves less on the phone, TV, or Internet, and more in the Bible and in relationships with others and in prayer. An awakening gets us off the couch of life and into the mainstream of being salt and light. In the 1700’s, there was a Great Awakening in the U.S., perhaps in part from George Whitefield’s itinerate preaching, but his impact may have caused the Great Awakening to spread to Europe. As a result of this awakening, millions were saved. Of course, most of us have heard about the Great Awakening. It’s very close to a spiritual awakening as you can get, but we must remember that both the power and Spirit of God are at work. We can’t revive ourselves any more than we can revive someone else. Even tent revivals can’t revive (or save) the souls in a community. That must be a work of God. We can’t make ourselves alive. We can only acknowledge that God alone makes alive and quickens whom He will quicken (Rom 9), and trust Him in that. It’s nice finding out about this website.